This is a randomly selected sample of a Tort law mind map from our Tort LawMindMaps Pack. 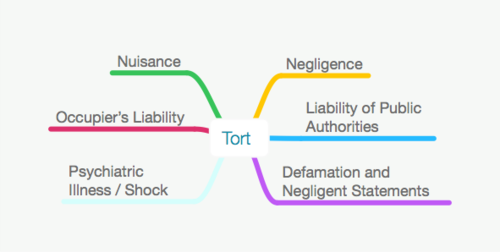 You can see the full Tort LawMindMaps pack here. Unlike our usual delivery method - whereby LawMindMaps are rolled into plastic sleeves - this single mind map will be folded into an A4 envelope and posted. Only one sample LawMindMap is provided per customer.